The Bowdoin College Athletic Department has announced the hiring of Rachel Mastine as assistant women’s volleyball coach. University of Houston Volleyball Head Coach Kaddie Platt announced the addition of JD Perez as the program’s volunteer assistant coach. NORTH MANCHESTER, Ind. 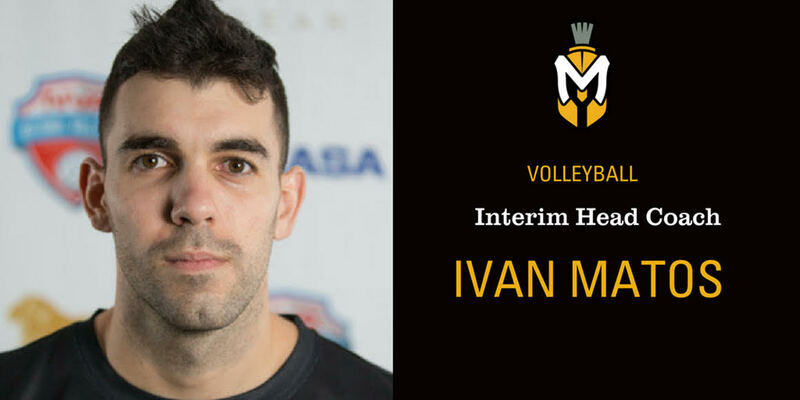 – Manchester University Director of Athletics Rick Espeset announced Thursday, Aug. 16, that Ivan Matos has been named interim head volleyball coach. Matos has served as a head coach of Fort Wayne’s Empowered Volleyball Academy 18s Elite Red squad since 2017 and had been a graduate assistant for the former Indiana University – Purdue University Fort Wayne men’s program from January-April 2016. He has a wealth of playing experience too, being a member of United States’ volleyball’s Double-A and Open Division runner-ups; playing professionally in Puerto Rico; and being a student-athlete for the Mastodons where he was named all-conference on the court and academically. Matos earned a Bachelor’s degree in Public Policy with a concentration in Health Services Administration from IPFW in May 2012 and a Masters degree in Public Affairs with a concentration in Health Services Administration from IPFW in May 2016. Matos replaces Bryndon Paulsen, who was head coach for five years, guiding the program to a 55-75 record, including an 11-12 mark in 2017. The Spartans begin the 2018 campaign on August 31-Sept. 1 when they play Carroll (Wis.), MSOE, Loras and Lake Forest at the Lake Forest Forester Invitational in Lake Forest, Illinois. The team’s first home contest is Sept. 12 against Olivet.